Bailout Shmailout! Buy Gold!! Protect your Wealth NOW!! When the Germans with their recent history of Weimar hyperinflation start printing money to buy bankrupt Government debt you can be truly sure the end (game) is not only coming, it is nigh..
THAT THE REAL CRISIS IS NOT OVER, IT HASN’T EVEN STARTED YET.. Yes the Gold Train has left the station again taking out new highs in Dollars, Euros, GBP etc etc, but if you run you can still catch it, otherwise you take the biggest financial risk of your life staying in ” imaginary electron and paper land ” Larry_Edelson writes more eloquently than us, and has done just yesterday so we’ll hand over to him. “Was last week’s amazing stock market rout and collapse in the euro currency the beginning of a new era of volatility in the markets? Could the economy start turning down again? Could real estate prices enter a renewed decline? Could there be more big financial blowups? My answers to the above: Yes, to all of those questions! And as I have often warned, central banks and governments around the world — not just our Federal Reserve — will do anything and everything to try and prevent meltdowns from occurring, no matter what market sector they’re occurring in, or what country. They will fight downturns tooth and nail. They will backstop and guarantee just about anything. They will keep investing and reinvesting in banks, mortgage brokers, real estate, busted industrial sectors, and more. No matter what it takes to try and save the world. And they will continue to do it all by printing money like crazy … issuing — and even buying — their own mountains of new debt. You see, central bankers have this odd personality quirk: They think they can defy the natural laws of the rise and fall of societies and civilizations … that they can change the inevitable cyclical forces that drive economies … and that they can even change natural human self-interest and behavior. And indeed, some of their policies will help. But in reality, most policies will fail … backfire … and aggravate the crisis. And in ways very few today truly understand. A few years from now, not only will we have witnessed the collapse of a mountain of debt in the private sector — but also in the public sector. and YOU WILL BE THE ONE PAYING THE PRICE. You can already see the early stages of this with what’s happening in Greece, Portugal, Spain and Italy … where bond and stock markets are collapsing … and where the currency, the euro, is in a veritable freefall … where investors all over the world are scrambling to get their hands on the only real form of money that has latest the test of time, gold. New currencies. New rules of the game. New institutions. A new monetary system. Gold Has Now Closed Above $1,162 An Ounce — Your Signal That Its Next Phase Higher to Well Above $2,000 Has Begun. I’ve warned you about this before. But if you still don’t believe me, I suggest you take your cues from gold, which is much more than just an inflation barometer. Much, much more. It’s the ultimate currency — real money. That’s why last Thursday, as virtually all global markets were in meltdown mode — ONLY ONE market stood head and shoulders above all others, and exploded higher: None other than real money itself, GOLD! And despite any pullbacks that may occur in gold in the weeks ahead — gold has now given me all the signals I’ve been expecting … and is now preparing to blast off to much higher prices. Put simply, I believe the price of gold is officially now on its way toward $1,500 … then $1,750 … and then $2,000 an ounce, and probably much higher. 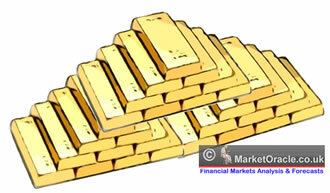 But mark my words: Gold’s next rocket ride higher is not just a bull market for savvy investors to take advantage of. No, it’s much more than that — because the next phase up in gold will signal the final demise of the existing fiat paper monetary system, and the eventual birth of a new monetary system where the dollar is no longer the world’s reserve currency. The problem: Between now and then, it will be holy hell for investors who do not understand what’s happening and do not appropriately protect their wealth. 1. The value of your current dollars. You’ve already seen how the euro has collapsed, shedding as much as 8% of its value in barely a month. So when this great sovereign debt crisis hits the U.S. dollar — you have to ask yourself a very simple question: What will your cash be worth if left in your typical savings account? 80 cents on the dollar? 70 cents? 50 cents? I can’t predict what the exact future value of the dollar will be. At least not to the penny. But I can tell you this: The U.S. dollar, despite its recent strength, is in even worse shape than the euro and faces a historic devaluation. And this is not new. It’s been that way for cash for a very long time. $5,000 in cash squirreled away in 1913, when the Federal Reserve was created, is now worth only 4.5 cents. That’s right, 4.5 cents. Put another way, it would take $110,582.14 of today’s money to buy what $5,000 would have bought in 1913. Even a McDonald’s hamburger — which cost a mere 57 cents in 1959 — now costs $4.29, an increase of 653%, or just over 13% per year. Looking into the future, and at the rate the I expect the dollar to lose value going forward — a little over six years from now a Big Mac could cost twice that, or $8.58, if not more. A burger costs 653% more now than it did 50 years ago. What does that tell you about the U.S. dollar? So what do you do with your cash? Should you even keep it in the U.S. dollar? 2. The value of your stock market investments. Will stocks collapse to new record lows as the world moves through a major monetary crisis and the dollar is eventually replaced as the world’s reserve currency? Or will stocks swing wildly, then inflate higher — as they have done in emerging countries where currencies were devalued? The answer to these questions and the timing of them are absolutely essential for not only protecting your wealth, but for profiting from this crisis. Suffice it to say, that only a few select and very savvy investors will profit in the world’s stock markets going forward — while more than 99% of investors will likely lose their shirts and get the stock markets’ next big moves DEAD WRONG, yet again. 3. Other investments besides gold that are likely to soar in the months and years ahead? How will other precious metals perform, such as silver, platinum, and palladium? What will energy prices do as the world moves into the next stage of this great financial crisis, where sovereign states are laid bare as emperors that truly have no clothes and are full of nothing but empty promises? What other assets are the best to invest in? And how do you invest in them? All these questions — and the answers to them — are now vital for the future, more than at any time in the past, INCLUDING THE 1930′S GREAT DEPRESSION. And it’s why — now, more than ever before, the decisions you make and actions you take will determine how well — or even IF — your family weathers this historic economic hurricane. As always, my team and I are absolutely committed to giving you the intelligence, strategies and recommendations you need to insulate your wealth and even grow richer as this crisis unfolds. Seriously, your time is fast running out, get going now or don’t say you we’ren’t warned.. Previous post: All Aboard – The Gold Train is Leaving the Station! !